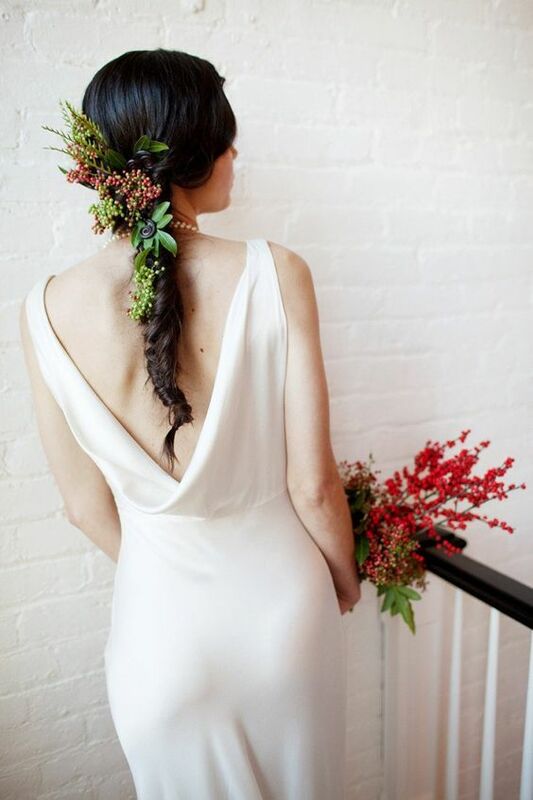 Bridal hairstyles are, besides the wedding dress, the second wow factor you need to accomplish. You’re going to make that happen with some of the coolest fall hairstyles we’ve found for you. Let the fall be your season! Braids have made a big comeback; they’re trendier than ever! This is a simple hairstyle that can be trendy in any season; especially in fall with some fall berries and leaves entwined. This hairstyle is a way to show you can be unique and step outside the box. Not every hairstyle must feature pearls, rhinestones and such things; nature has some lovely accessories too!